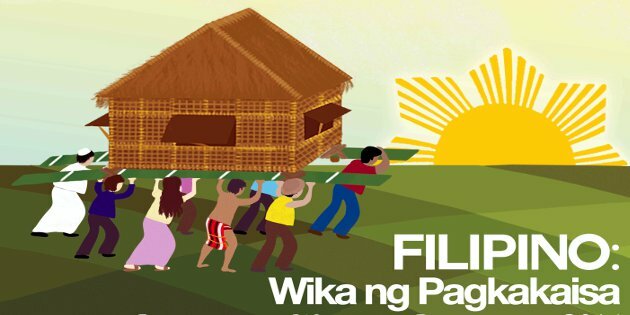 Every year, the month of August is celebrated in our country as the Month of the National Language or Buwan Ng Wikang Pambansa. The celebration is in connection with Proklamasyon Blg. 1041, s. 1997 with emphasis on the importance of having a common native language which will facilitate communications, understanding, unity and prosperity of the country. The national language referred to in the proclamation is the emerging Filipino language that has incorporated words from different Philippine languages with Tagalog as its main source. I grew-up in a region of our country where Tagalog is the spoken language and have been an observant by-stander on how our national language, Filipino as it is called now, evolved into its current status. This is what I want to share in this blog. My observations and experience on how our national language which was mainly Tagalog and called as such in the beginning is now being pushed to be called Filipino as envisioned in our 1987 Constitution and engendered by the present Commission on the Filipino Language (CFL) as prescribed in Republic Act No.7104 which was signed by Pres. Corazon Aquino on August 14, 1991. When I entered Grade I in 1959, we were taught that our alphabet was called Pilipino and it consisted of twenty (20) letters such as A, B, K, D, E, G, H, I, L, M, N, Ng, O, P, R, S, T, U, W and Y. To my surprise, my surname, Zafra, have two (2) letters which were not contained in the alphabet at that time. This is the reason why some people in those days spelled my surname as S-A-P-R-A. I have to correct them when it happened but never really complained about it. I was lucky that my Grade I teacher did not compel me to write my surname using only the letters of the Pilipino alphabet. By the way, I already know how to write my full name and had memorized the English alphabet beforehand. Until I finished college in 1974, I remember that only the 20-letter alphabet was used in teaching the Pilipino subject up to High School. Filipino as our national language was unheard of up till the R.A. No. 7104 was enacted and the CFL (now called Komisyon sa Wikang Filipino [KWK]) begins its work to develop, preserve, and promote the various local Philippine languages. Today, our national language is Filipino and our alphabet has twenty-eight (28) letters such as A, B, C, D, E, F, G, H, I, J, K, L, M, N, Ñ, Ng, O, P, Q, R, S, T, U, V, W, X, Y and Z. This is better because all the letters in my surname are in it. What do you think of the changes, my fellow Pinoy elders in the world wide web? For me and without meaning to offend anyone, I wish KWK all the luck in doing its job but I also pray that it won’t insist on having Filipinas as the correct local name of the Philippines. Let’s retain calling around nation as Pilipinas, ourselves as Filipinos and possibly have Pilipino if not Tagalog as our national language. I understand this is wishful thinking, some minds know better.